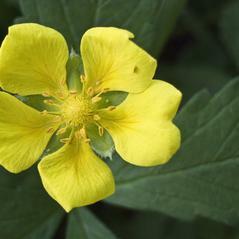 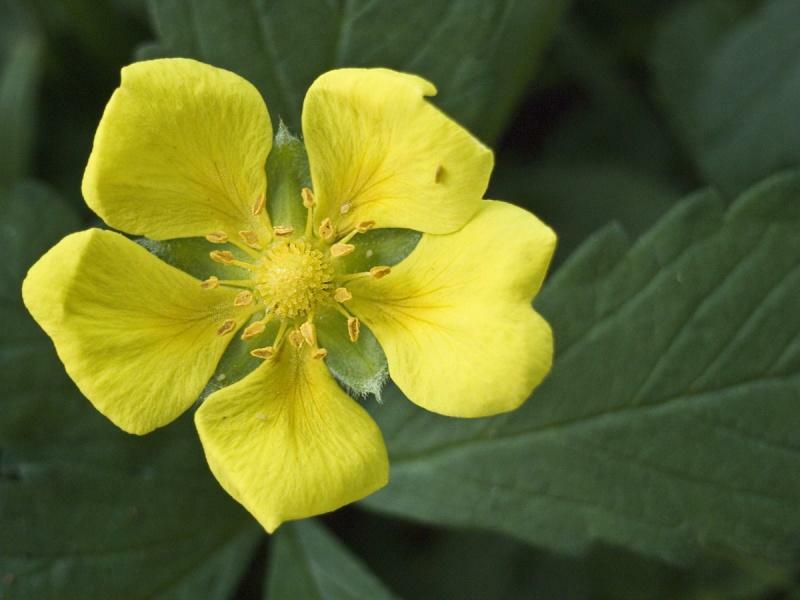 Creeping cinquefoil is native to Norway south to the Meditaerranean and the Himalayas, and introduced in New England, where it has been collected only in Massachusetts. 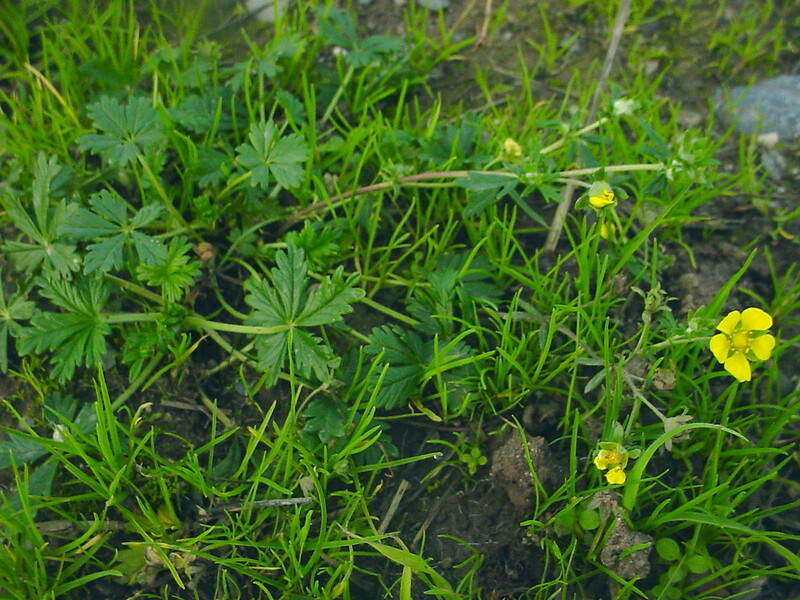 In its native range, it prefers meadows and pastures on soils with near-neutral pH. 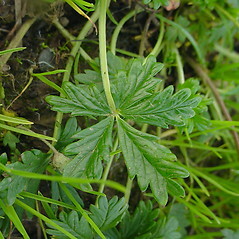 It can be weedy, propagating on long runners. 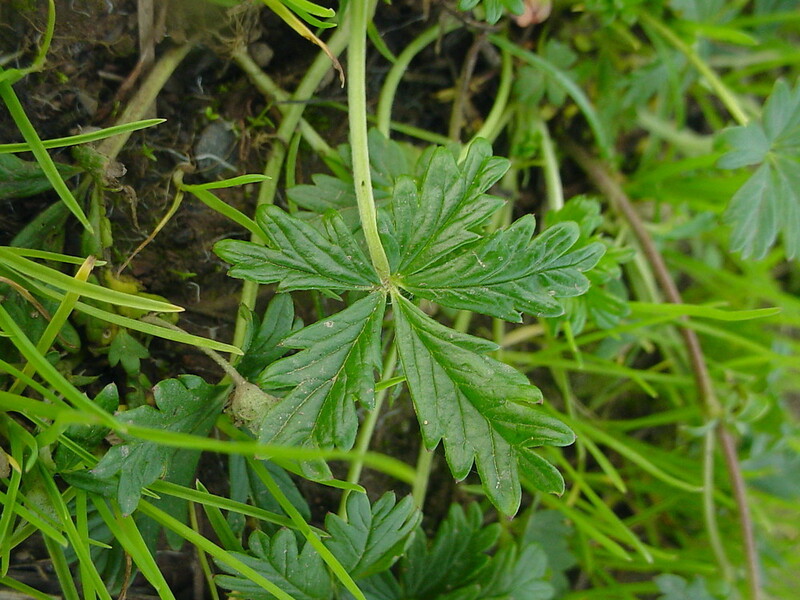 The astringent compounds produced by its rhizomes have been used medicinally. 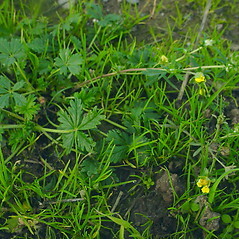 petals mostly 4–7 mm long, anthers 0.6–1 mm long, and epicalyx segments linear to narrow-lanceolate (vs. P. reptans, with petals mostly 8–12 mm long, anthers mostly 1.3–2 mm long, and epicalyx segments lanceolate to oblong or elliptic). 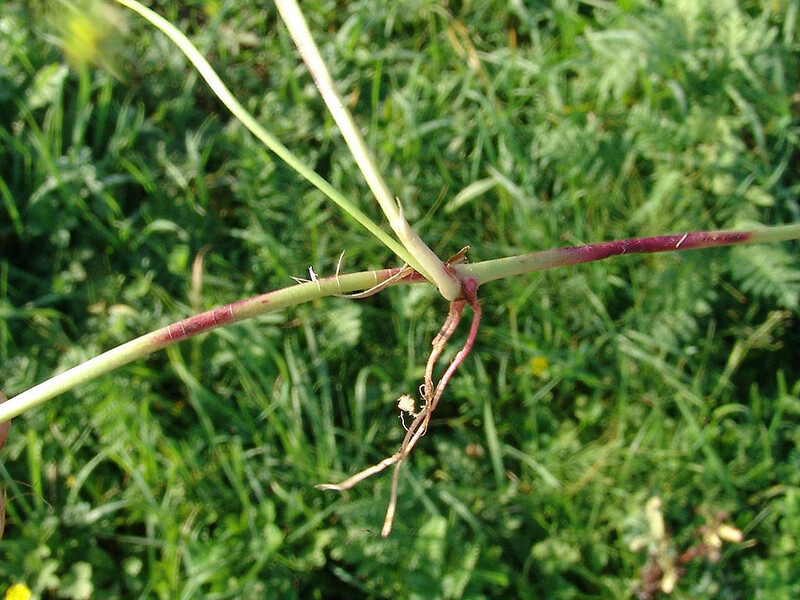 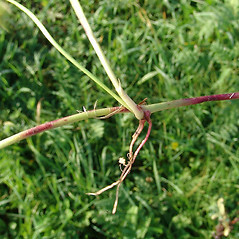 stems erect to ascending, though sometimes procumbent at anthesis, not rooting at the nodes, stem leaves sessile or subsessile, and basal rosette ephemeral, usually absent at anthesis (vs. P. reptans, with stems prostrate, though initially ascending, rooting at some nodes and/or the apex, stem leaves petiolate (sometimes sessile or subsessile in P. simplex), and basal rosettes persisting through anthesis).